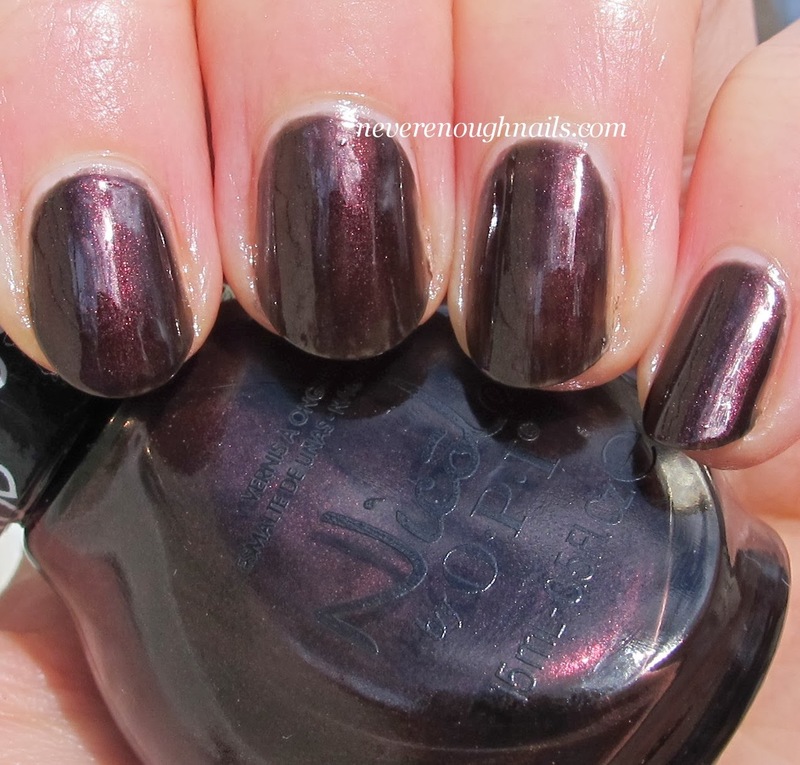 Never Enough Nails: Nicole by OPI Carrie Underwood, Part Two! 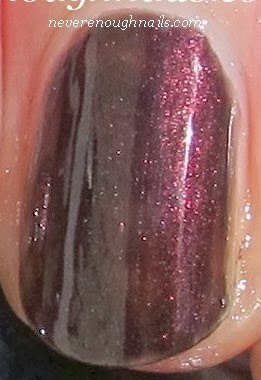 There are quite a few gems in the second half of the Nicole by OPI Carrie Underwood collection. If you missed my first set of swatches, check them out here. All swatches are shown with Nicole by OPI Quick Dry Top Coat. 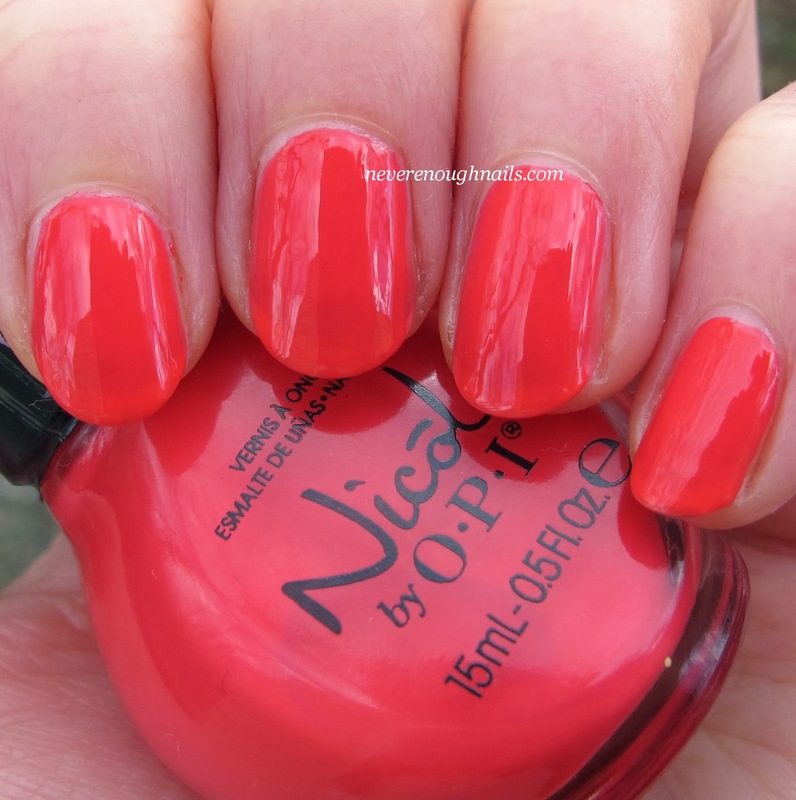 Let's continue on now with Nicole by OPI Backstage Pass. Backstage Pass is a vampy red-brown shimmer. I love vampy colors, so I do like this, though I am not sure how unique it might be. Backstage Pass needed three coats for full opacity. I tend to prefer dark colors that can be opaque in two coats. Otherwise the formula was good, maybe a hair on the thin side, but not bad. Now this one I really love! 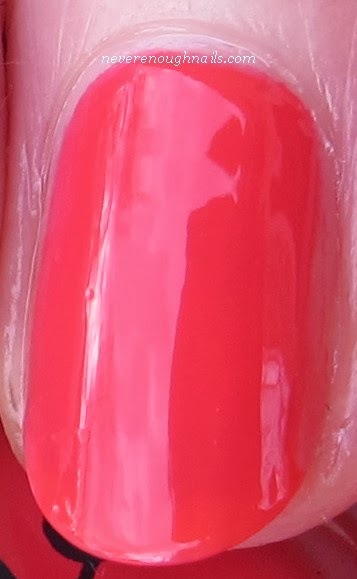 Nicole by OPI Some Hearts is a bright, almost neon, coral pink crelly. It leans orange, as you can see a bit here, but is definitely still pink. This color takes me to that imaginary island getaway I am not likely to take anytime soon. I love love love the fact that this is a squishy crelly, not just a creme. It makes it juicy looking, like tropical fruit! This is three coats of Some Hearts. The first coat had a lot of VNL, but being a crelly, I think that's pretty typical. If you don't mind a bit of visible nail line, two coats would be fine, but I opted for full coverage at three. The formula was great, very nice! Nicole by OPI Goodbye Shoes is a blue-gray creme with a touch of green. I always like gray cremes, and this one is a bit different with it's heavy hit of blue. I don't know what Goodbye Shoes are LOL, I am assuming it is a Carrie Underwood song? Goodbye Shoes only needed two coats for full coverage and the formula was good. No complaints here! 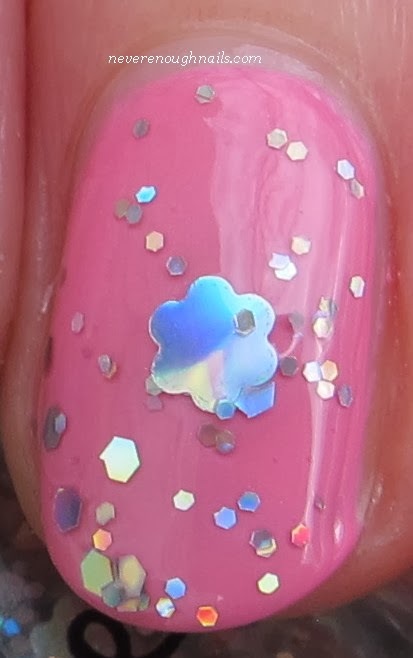 I do love an aptly named polish and Nicole by OPI Carnival Cotton Candy is certainly well-named! This is a perfect cotton candy pink creme. The pink hater in me is surprised because I actually like this a lot! 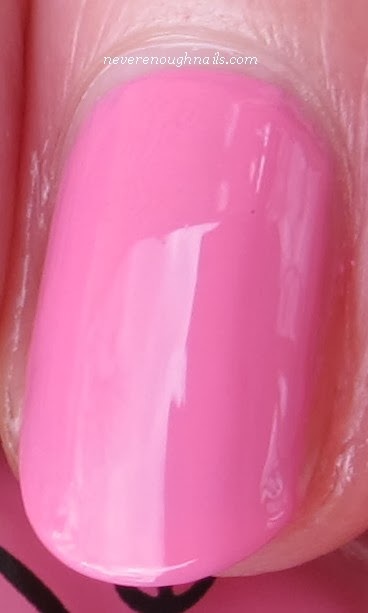 I haven't worn pink in a full mani for a looooooong time, but I might have to wear this sometime soon. This is three coats of Carnival Cotton Candy. I like this even more because it was not at all streaky or chalky seeming. Some cotton candy pinks are not great to apply, but this one was no trouble at all. Nicole by OPI Party Bus is a silver holo glitter topper in a clear base. 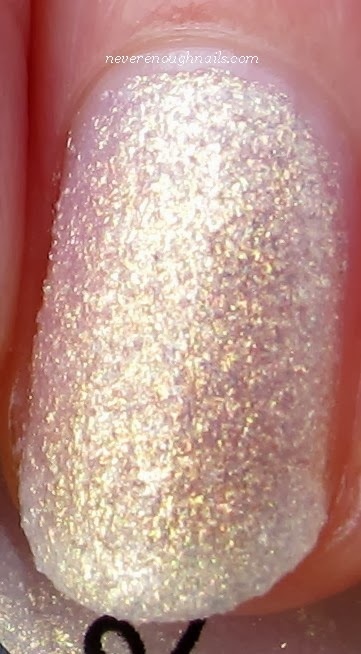 Nicole by OPI has been doing a lot of glitter toppers lately, but Party Bus stands out because it has holo silver flower glitter! 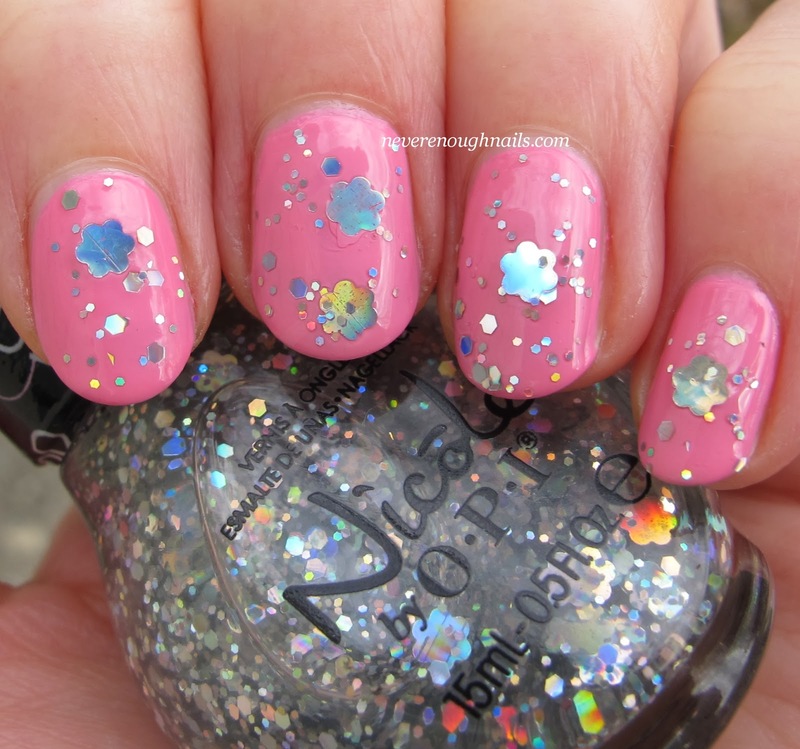 You don't see mainstream companies using flower glitter very often, so yay for Nicole by OPI! The flower glitter has a tendency to sink to the bottom of the bottle, so I just stood mine upside down for about 10 minutes before applying. This is one brushed coat of Party Bus and the flowers were placed. I did have to fish around for the flowers, so after finding one, I used my neck of the bottle trick. I wipe the glitter off on the neck of the bottle, along with the excess base, then pick it up on the brush again and place it onto the nail. This isn't really hard to do, but it may take a bit of practice. This next one is kind of interesting. Nicole by OPI Sing You Like a Bee is a white chunky shimmer with lots of gold flash. It looks textured in my photos, but it actually is smooth. It is similar to OPI Ski Slope Sweetie, but I think the Nicole by OPI has larger shimmer particles, making it look chunkier. I am not sure if this would work well for layering. I think it might be too dense to look right over something else. This is three coats of Sing You Like a Bee. It was easy to apply, but I did still have a bit of VNL with three coats. I think I prefer OPI Ski Slope Sweetie, if I had to pick a favorite white shimmer with gold duochrome-y effect. 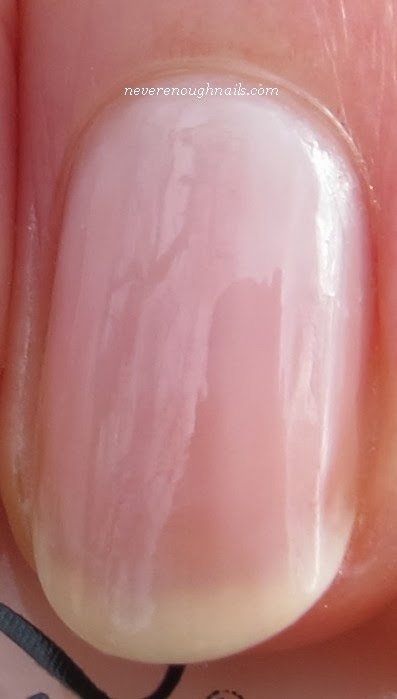 Nicole by OPI Love My Pups is a sheer white pink. This is very much out of my comfort zone, but if you like this sort of thing, it might be nice for you. I think it would be great for a French mani or just a natural nail look. Love My Pups applied well and was not streaky, something that's hard to do with sheers. This is three coats. I found this collection to be extremely varied overall. There are a lot of different styles going on here, from sheers to vampy colors. This means that there might be something for everyone in it though, so that's not a bad thing! My favorites are Some Hearts (the overall winner for me for sure! ), Carnival Cotton Candy, and Lips Are Dripping Honey. Did any of these Carrie Underwood colors catch your eye? Nicole by OPI Carrie Underwood is available now for $7.99 each at retailers including select CVS, Duane Reade, HEB, Kroger, Kmart, Ulta, Walmart, Fred Meyer, Meijer, and Harmon locations. In Canada, these shades will be available for $10.99 each at Shoppers Drug Mart, Target Canada, Walmart Canada, Jean Coutu, London Drug, and Loblaws. Wow! There are lot of variation of nail polish. Its just amazing. Thank you very much for this post.